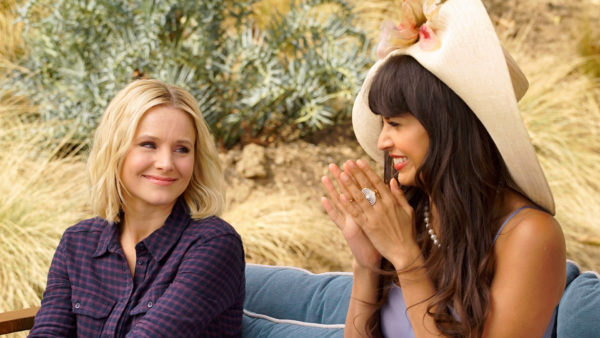 Kristen Bell and Jameela Jamil in NBC's 'The Good Place' (Courtesy of NBC). Kristen Bell and Jameela Jamil in NBC’s ‘The Good Place’ (Courtesy of NBC). Living in a nondenominational, intersectional heavenly afterlife realm filled with flying and fro-yo all the time, expletives banned and a non-human celestial being named Janet who grants all your wishes — what could go wrong? In fact, everything. “The Good Place” is the incredibly clever single-cam sitcom we all need. Eleanor Shellstrop is the antiheroine we need. Michael Schur—writer of lauded shows including “The Office” and “Saturday Night Live” as well as creator of “Parks and Recreation” and “Brooklyn Nine-Nine” — now brings your new obsession straight to your small screen. With the show’s first season premiering in September 2016 along with the two-part finale this past January, it’s probably completely off everyone’s radar. Nevertheless, with a season two renewal, it’s time to put this half-fantasy, half-comedy show back on the binge-watch list. Eleanor Shellstrop — played by the charming Kristen Bell — wakes up and is greeted by Michael (Ted Danson), an eternal being and the architect of Eleanor’s neighborhood of The Good Place — a utopic afterlife built for only the best, most selfless individuals. But when Eleanor is informed that her incredible help as a lawyer who helped innocent individuals get off death row assisted in getting her to The Good Place, she’s confused—she was a pharmaceutical salesperson who cared little but for herself. Through numerous comedic flashbacks, we quickly see how much of a jerk and completely selfish individual Eleanor was when she was alive. Let’s be honest — we’re all a little bit like she is. Eleanor is incredibly — and I mean incredibly — flawed, but we can’t help but root for her. She’s the everyday, insanely relatable antiheroine that we maybe shouldn’t strive to be, but at least strive to appreciate and grow to love onscreen. “The Good Place” even slides in tidbits of a sort of “moral philosophy for dummies,” which makes the show even more entertaining, as the question does remain: can Eleanor truly change her innate amount of “good”? 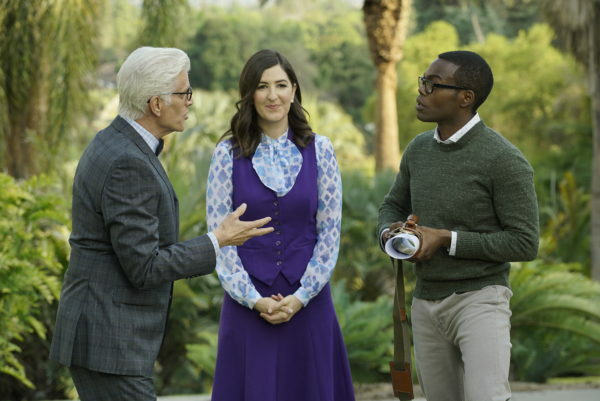 Ted Danson, D’Arcy Carden and William Jackson Harper in ‘The Good Place’ (Courtesy of NBC). Eleanor wants to improve herself, and she wants to stay in The Good Place — otherwise she’ll get sent to The Bad Place, a supposedly hellish place for people who owned vanity license plates and attended Red Hot Chili Peppers concerts when they were alive. Thankfully, in The Good Place, each individual is assigned a soulmate, proven by some magical, ineffably perfect formula. In Eleanor’s case, her soulmate is Chidi Anagonye (William Jackson Harper), an ethics professor who is kind enough to teach her how to be a good person in order to help her stay. Unfortunately, mishaps quickly occur because of Eleanor’s ignorant behavior — giant insects appear and go flying and a giant sinkhole appears in The Good Place. Eleanor has but one question: how is she supposed to stay in The Good Place if she’s a mistake? Watching the first season, the show’s considerable devotion diversity and representation also should not be overlooked. 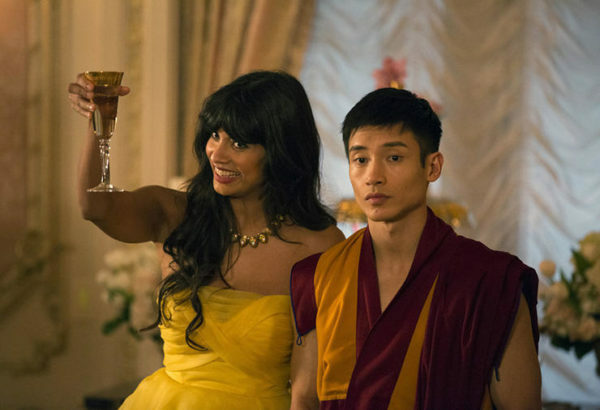 A black actor (Harper) as a Senegalese ethics professor, a South Asian actress (Jameela Jamil as Tahani-Al-Jamil) as a British socialite and an East Asian actor (Manny Pacinto as Jianyu Li) portraying neither a stereotypical nerd nor martial arts master — it’s fantastic to see such a broad range of characters. Let’s not get ahead of ourselves — the show still clearly follows the narrative of a young white woman, and “The Good Place” does star two other white characters, but the show still maintains a surprisingly healthy balance that ties in perfectly with the content. No matter what background, creed or color, pairs of individuals are proven and chosen to live happily ever after for all of eternity. Even the choice of having the characters be named according to their cultures and backgrounds is laudable, as it helps to normalize and improve public awareness of ethnicity- and nationality-related naming, particularly globally. Originally, it appears that the names for Chidi and Tahani were in fact Chris and Tessa, respectively, but I greatly appreciate the change to the alternate names. Jameela Jamil and Manny Jacinto in ‘The Good Place’ (Courtesy of NBC). Because of the fantasy genre, “The Good Place” is able to basically place anything out into the show’s universe and call it fact, and this is where the show excels. Pure comedy can be drawn for ridiculous — but not outrageously unbelievable — situations, because they’re in The Good Place, a magical, fantastical place where everyone’s dreams come true. Heaven, essentially. As a viewer, I was captivated both by the cheeriness of the production design as well as even the smallest scripted touches. I immediately bought into the magnificent world of The Good Place — every detail, every frozen yogurt consumed. Everything thrown at me I believed — obviously there would be hundreds of flavors, and obviously the architect of The Good Place can see in nine dimensions. Janet, the robotic yet human-like personal assistant to The Good Place, brings yet another simply delightful aspect to the show — the writers had fun playing with different personalities, different actions and different Janet-related mishaps — there’s even a Bad Place, equivalently “bad girl” version of Janet. It didn’t matter if it was necessarily realistic or if it even made sense or not. No matter how much I enjoy science fiction, that’s the joy of fantasy — a certain of level of cognitive or logical comprehension can simply be flung out the window, and a whole new world can be created and explored like no other. The upcoming second season of “The Good Place” premieres September 28, 2017, on NBC.